Until the Paris Agreement on Climate Change accorded equal importance to adaptation and mitigation, the market instruments framed under the Kyoto Protocol to the United Nation Framework Convention on Climate Change (UNFCCC) focused mainly on mitigation. However, realizing the importance of existing forests in storing and sequestering carbon, the UNFCCC introduced the concept of Reducing Emissions from Deforestation and Forest Degradation in Developing Countries (REDD+) at Bali in 2007, promising to benefit multiple sectors linking climate change, biodiversity, sustainable livelihoods, and water resource conservation. 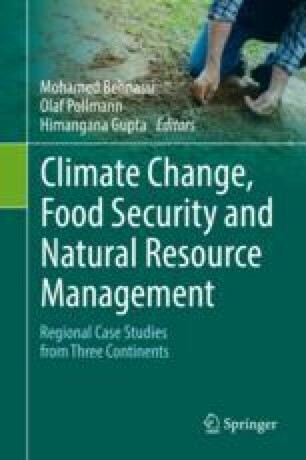 Due to its widespread acceptance among the forest rich countries, it became increasingly relevant to study the impacts of its implementation in developing countries. This work is a case study of a USAID-funded pilot project in the northern Indian hill state of Himachal Pradesh designed to draw lessons for forest conservation and generate data for future REDD+ projects. Focused group discussions with the local people to solicit their views on the promises and potential of the initiative bring out the loss of trust in such projects. They fear loss of livelihoods and homes as they are largely dependent on the ecosystem services provided by the forests, including non-timber forest produce (NTFP), medicinal plants, and honey. They expressed concern over the ruthless destruction of forests in the nearby regions and felt that the Government has been supporting destructive projects at the cost of their livelihoods. Feeling left out of monetary benefits resulting out of projects, they compared the REDD+ initiative with the ‘industry-oriented’ motives. In addition, the study also integrates expert views of scientists on implementing REDD+ as an effective adaptation mechanism. Effective governance, increased stakeholder participation and synergizing the program with watershed management initiatives can help yield full potential of REDD+. This work was carried out as a part of my PhD research in Panjab University, Chandigarh, India. I am, therefore, thankful to the University Grants Commission (UGC), New Delhi, India for providing funding support in the form of Senior Research Fellowship at the time of PhD. I also thank Mr. Raj Kumar Gupta (Environmental and Social Policy Analyst), Dr. Rajiv Pandey (Scientist-E, Indian Council of Forestry Research and Education), and the interviewees for their valuable inputs. The views expressed in this chapter are those of the author and do not reflect the official policy or position of any department of the Government of India. World Bank. (2015). Outcomes from COP21: Forests as a key climate and development solution. World Bank. http://www.worldbank.org/en/news/feature/2015/12/18/outcomes-from-cop21-forests-as-a-key-climate-and-development-solution. Accessed 4 Dec 2016.